A Handful Of Buttons: How to Make a Big Top Cake. I have had this 'big top' silicone cupcake mould for ages and haven't really known where to start with it, especially as the instructions were missing! The trickiest part was trying to work out how much mixture I needed and there seemed very little help online, so I thought the 'trial and error' method was the best way to go. 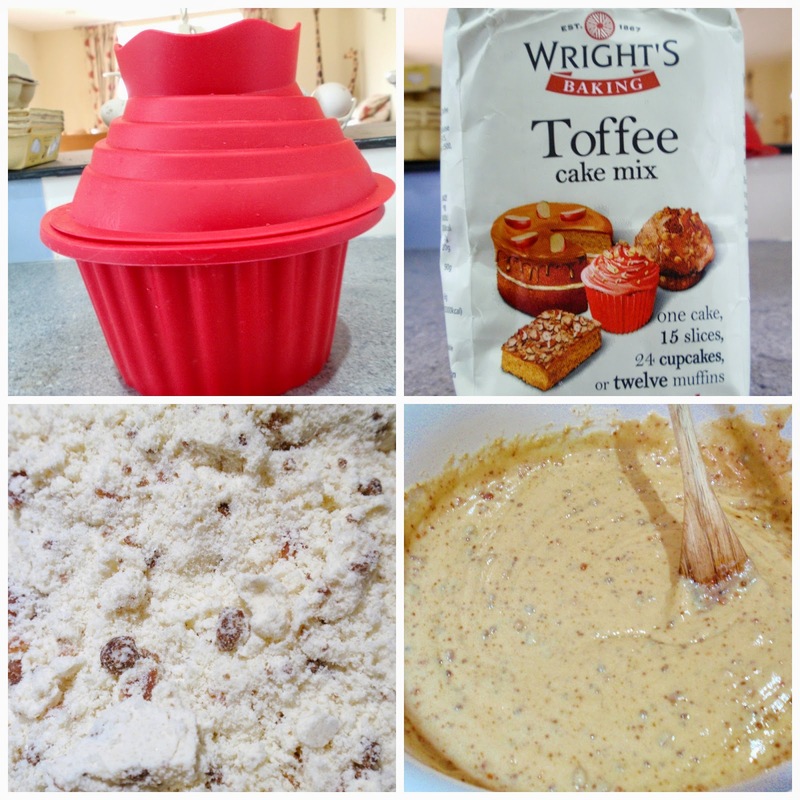 I don't usually use a ready made cake mix but this one was so tasty I couldn't resist and even better it was toffee flavoured. As you can see the cake is a lovely golden colour from all the toffee goodness! -8oz of self raising flour, 8oz of caster sugar, 8oz of butter and 4 eggs. 2. Once I had made up my mixture, I filled the cases up to the 2nd ridge from the top of both the main case and top section. 4. Attach the silicone lid to the main cake mould to create the indent. Place both moulds on a baking tray ready to go in the oven. 5. Cook the cake for about 50 mins at gas mark 4. I didn't want to put the oven on too high because I thought it might leave the centre uncooked and burn the outside. However, you need to test whether the centre is cooked using a cocktail stick. 6. Once cooled, you may have to trim sections of the top part so that is has a flat bottom. 7. Make up the butter icing using 300g grams of sifted icing sugar, 150 grams of butter and a few droplets of vanilla essence. Mix until creamy and soft. 8. Fill the hollow section of the cake with icing sugar. Then add a thick layer to stick on the top. 9. Smoothly apply icing sugar to the top of the cake and decorate! 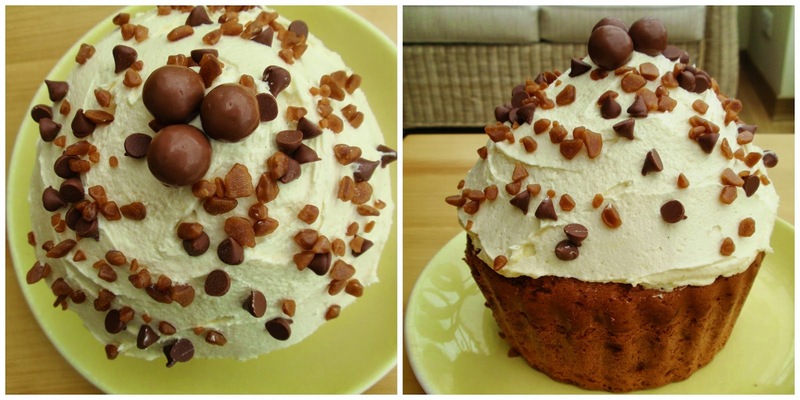 I used butterscotch pieces and chocolate chips which were very yummy. However, you could add coloured sprinkles, sherbert, popping candy etc. 10. Enjoy your delicious creation! :) When you cut open the cake you will see the yummy icing centre. You could also fill this with a chocolate frosting or with a mixture of sweets for that extra surprise!